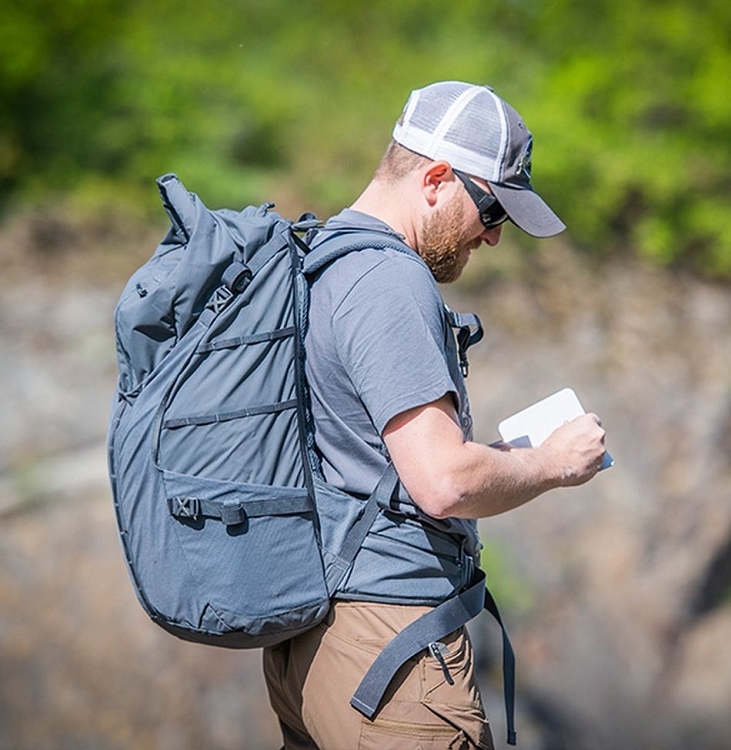 The Helikon-Tex Summit backpack is a perfect combination of lightweight, durable materials with a comfortable and compact structure. 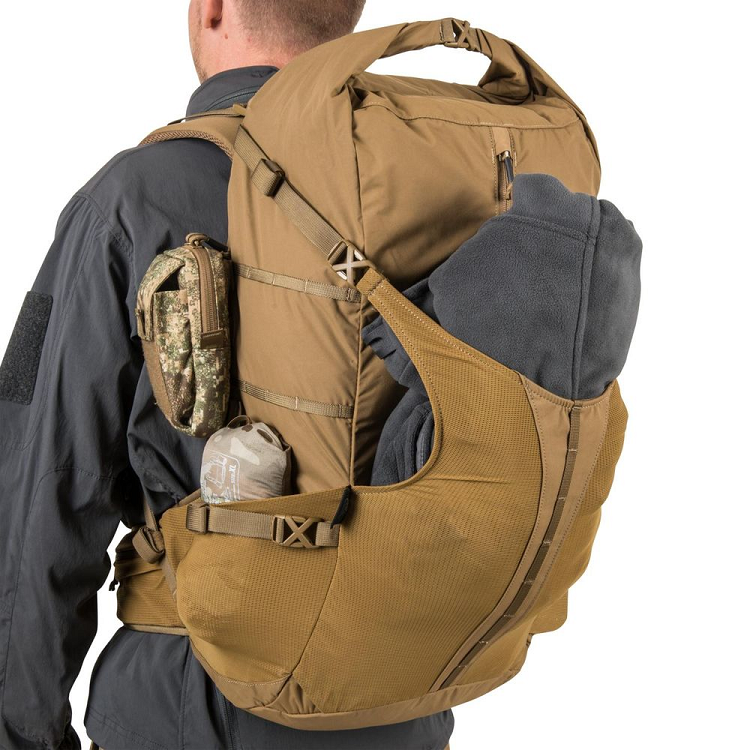 In this backpack model, the main emphasis is on being light, practical and free of additional unnecessary elements. The spacious main compartment has two access points - from the top via a roll-up chimney and from the front of the backpack through the zip. 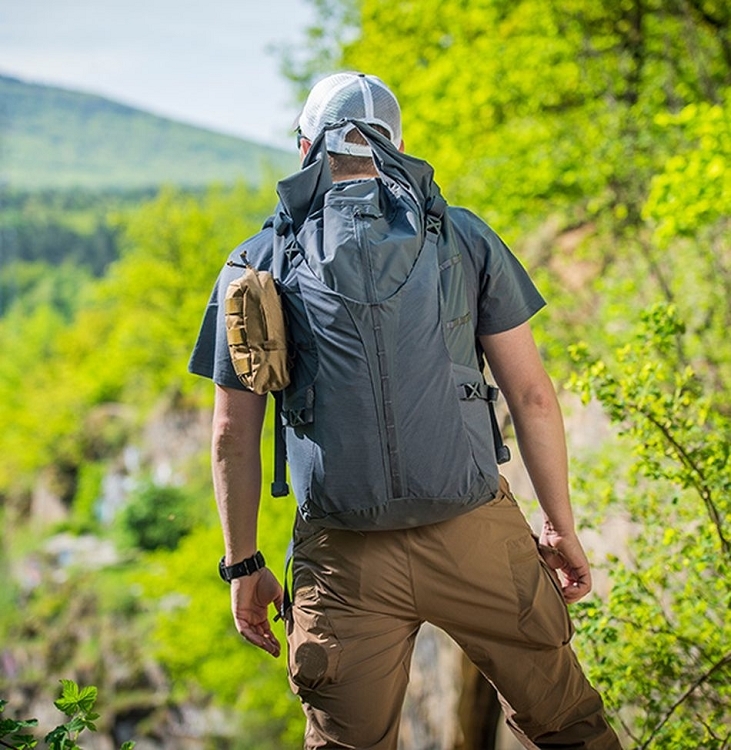 On the sides of the backpack there are elastic pockets that can hold a bottle, additional clothes, etc. In front there is a flexible, mesh beavertail that will allow you to carry a helmet or even a thick winter jacket. Comfortable, profiled hip belt has integrated mesh pockets with zippers. 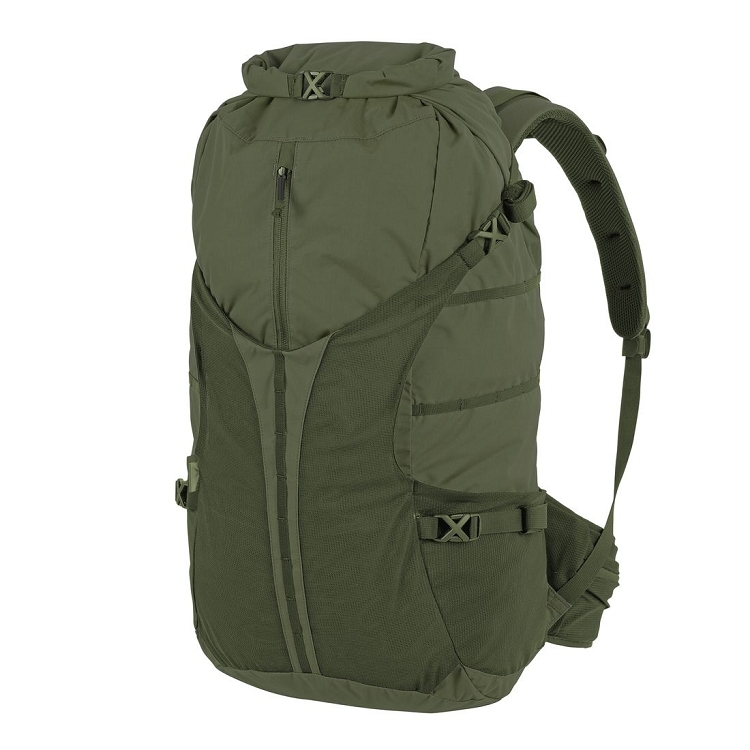 MOLLE Lite, 10mm wide, sewn on the sides, allow you to attach larger MOLLE / PALS pockets.